Japanese magazine Young Machine publications claiming that Kawasaki is working on a supercharged engine capacity of 650cc which will be exhibited at the automotive exhibition Tokyo Motor Show in late October, it was reported on Visordown page. 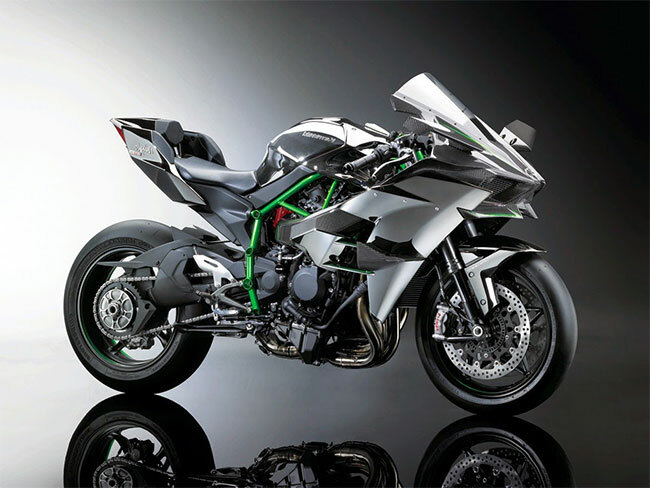 Supercharged motors made by manufacturers based in the city of Tokyo, Japan that will be named Ninja S2, and a mock-up of the image can be confirmed that the motor uses a two-cylinder supercharged engine. Base engine instead of 1.000cc engine belonging to H2, but the engine of ER6. While other sources said the Kawasaki motorcycle will be holding a supercharged four-cylinder engine 600C plucked from Kawasaki ZX-6R. Such as H2, Ninja S2 using trellis frame and intake hose on the left side for supplying fuel to the engine supercharger mounted behind the engine.